As we’ve often said, its the softer images that are the easiest to texture, that’s not to say that bright ones don’t work with textures, but overcast days with soft light are so much easier to work with. This photo was taken on the very last day of 2012, midsummer here in New Zealand but it certainly doesn’t look it with that stormy sky. Buccolico @ Overlay 75% once again masked softly from the sky and desaturated a little. Nik Efex 4 Ink filter (just the first one on the list at a very low opacity) This brightened the image a little and gave a slight warmish tone. Catacomb Frieze is from the Spring Painterly Pack, Buccolico is from the August Painterly pack and Versailles is from the Autumn Pack. I’ve always written a diary, I started when I was about 10, probably imitating my father initially as he is a diary writer too. 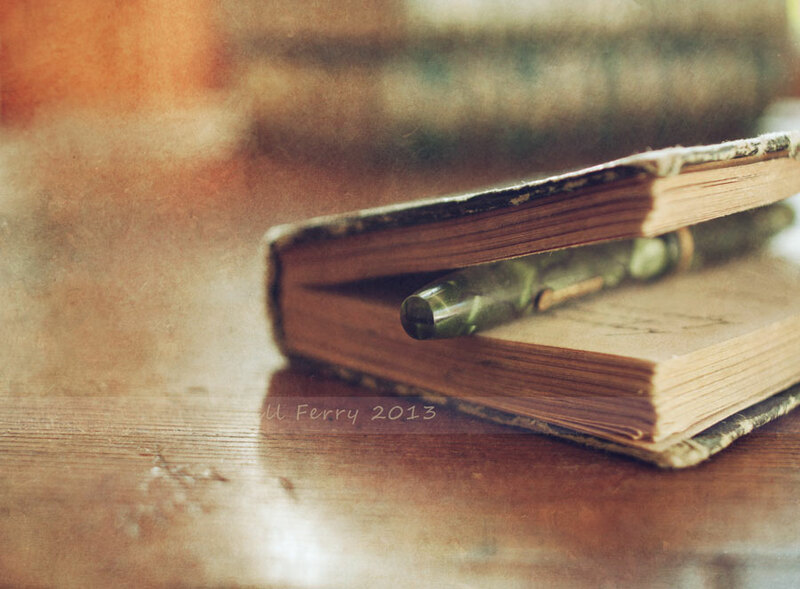 My diaries are on the whole pretty factual and boring, except during my teenage years when with the usual teen angst, I poured out my thoughts on life, boys, so called friends and suchlike, those ones certainly make embarrassing reading now, but I’m glad I still have them. Just browsing them now, even the ones with just the bare facts is enough to trigger a memories -the family holiday in a hired caravan (which we named Vanessa) when I was about 10, the visits to my grandparents, boarding school dinners (always a highlight of the day! ), the first job, boyfriends…. Tiepolo @ overlay 50% masked as above. And applied a Nik colour efex vintage film filter at a low opacity, this just desaturated slightly and brightened the tone. If you don’t have Nik, a curves adjustment would probably do the same thing. For my final blog post before my trip to England, I found an image from my last trip to Rye in East Sussex, a lovely medieval silted up port. I spent an afternoon walking up and down the narrow cobbled lanes and even bought small antique china and enamel retro kitchen ware from twee antique shops and charity stores with an eye to using them in future still life set-ups back in France. 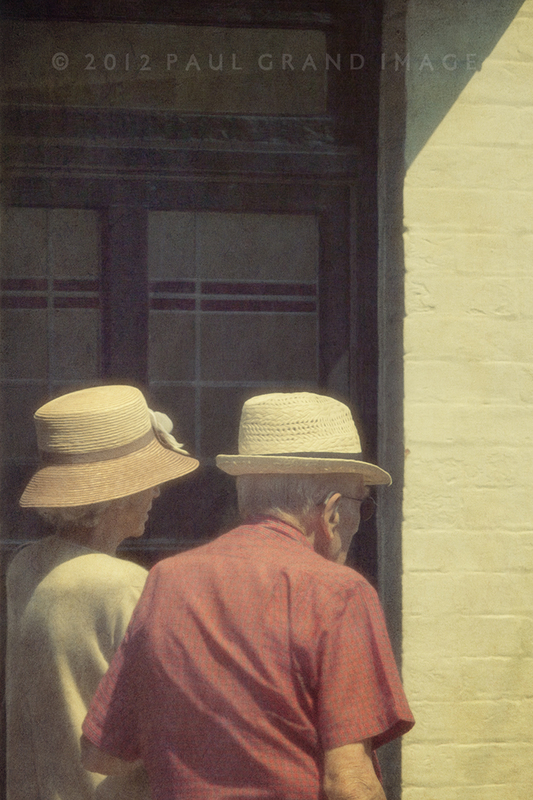 This couple of old dears were slowly ambling along, and I managed to steal a cheeky shot, whist they dithered in a pub doorway. Strangely the word ‘mint’ poped up behind them whilst texturing, which I quickly cloned out, and I now see its a famous pub, I swear I don’t hang around pubs with trip-wires for models! For the annoying crease across the gents shirt, which Martine advised me to iron out, I sometimes show work in progress to Martine or Jill and vice-versa, as its always handy to have the input from a fresh pair of eyes! His shirt patten annoyed me, as I thought it made the pair look slightly too modern, so I blurred the shirt area only with Gaussian blur and it worked a treat, I also blurred the whole image to soften and enhance the feel of afternoon heat. 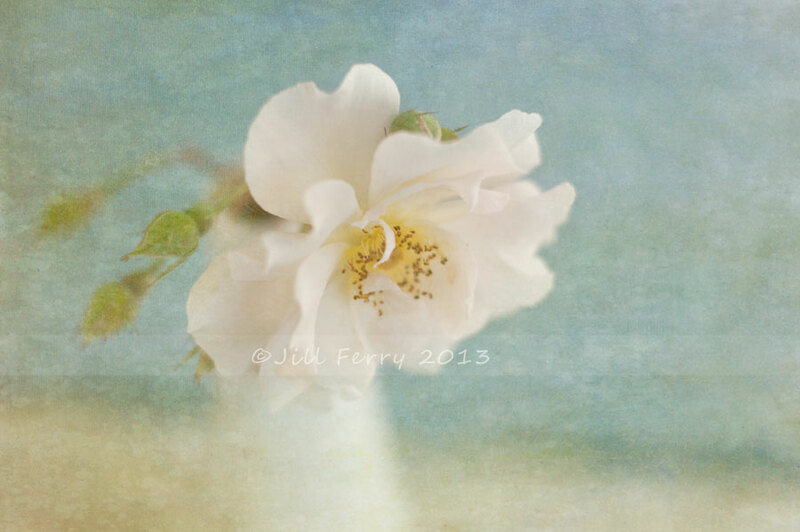 Winter is starting to show itself here in southern New Zealand so to get my flower fix I had a trawl of my archives and found this rose which cried out for the additon of some texture. It’s a lovely easy recipe today utilising just two textures. Aqua Vita @ hard light 91% masked softly from the flower. this provided much of the background texture. In today’s photo you’ll see my newly acquired enamel jug, I inherited it from my father who used to use it for watering his tomatoes. My father has recently sold his house and my sister and I have been very busy clearing it out, a very hard job both physically and emotionally….there are memories attached to almost everything! 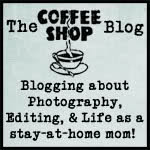 My stock of photographic props has increased tenfold though and now my house needs another de-clutter!. Anyway, on to the processing. Mystic Hues @ Soft light 100% with its colour desaturated and toned more blue using a hue saturation adjustment. Curves adjustment to lighten and tweak the tone. 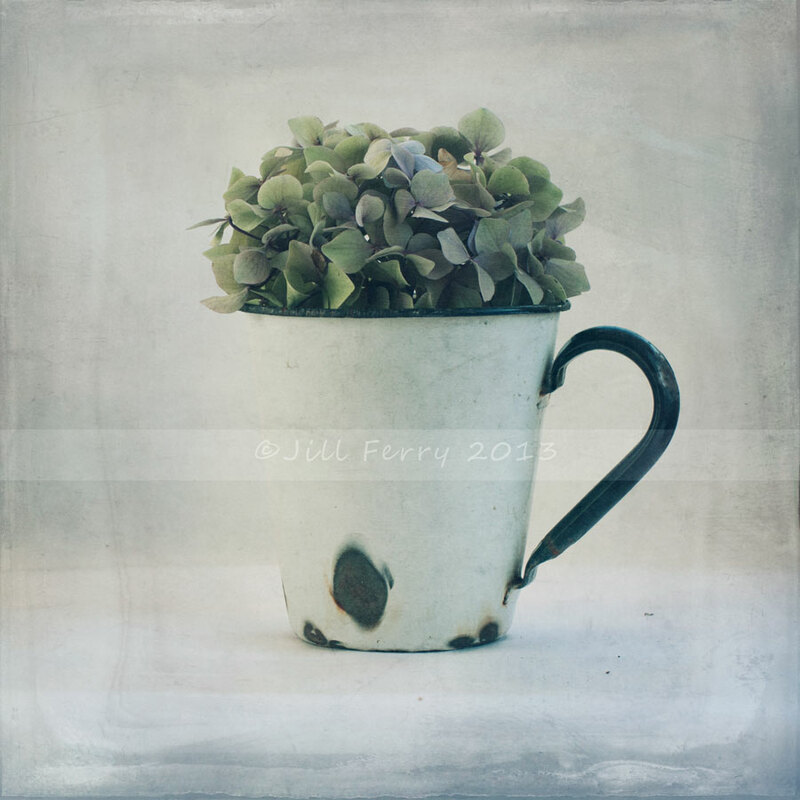 Tintype 29 is from the Tintype Edge pack and Mystic Hues is from the Spring Painterly Pack. 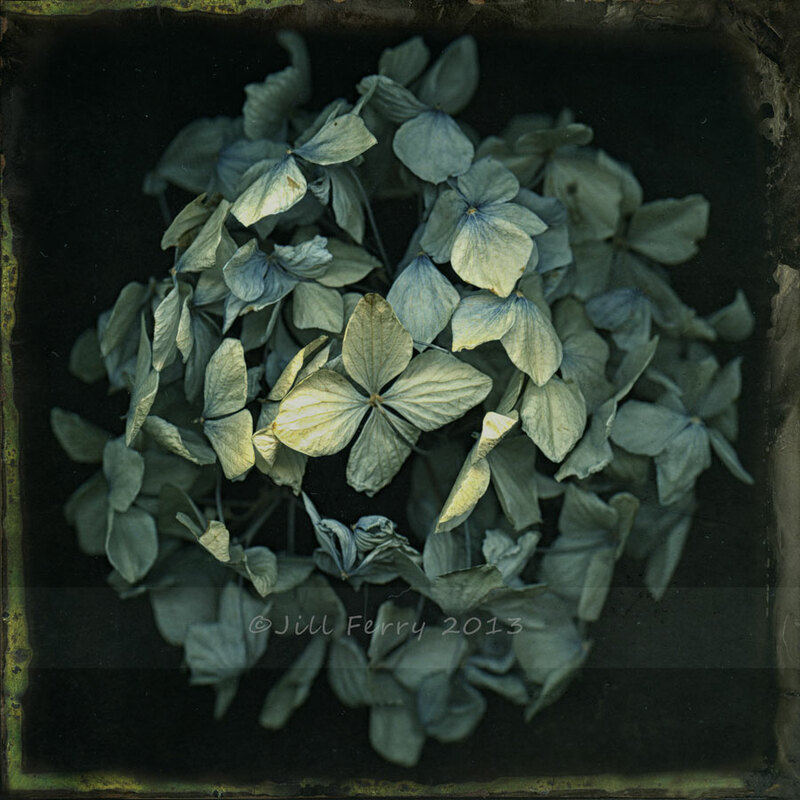 I hope you’re all enjoying playing with the wonderful new Tintype Edges as much as we are. They’re going to be very versatile especially if you want an authentic vintage look. Paul and I have been experimenting with scanning things on our flatbed scanners and then texturing, scanning gives a very narrow depth of field and wonderful clarity, of course you could get the same result with lens wide open but scanning is so easy to do…and fun! 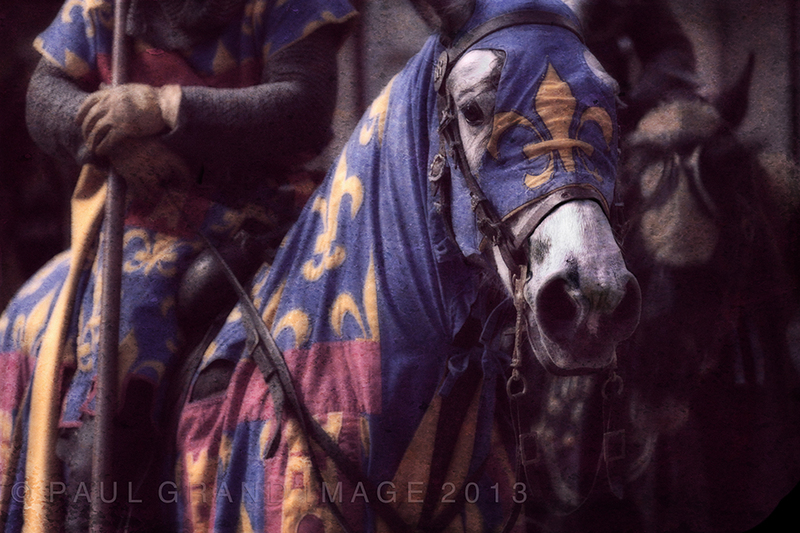 The original photo was scanned in tif with the scanner lid open, I then opened it in Photoshop. I actually did the preliminary processing of this one before we launched the pack and then revisited it yesterday, deciding to crop it closer than it had been originally, as a result I’ve cropped the edges off all of the lower tintype layers in the layer stack. Tinytpe 28@ Lighten 100% masked from everything except the edge. 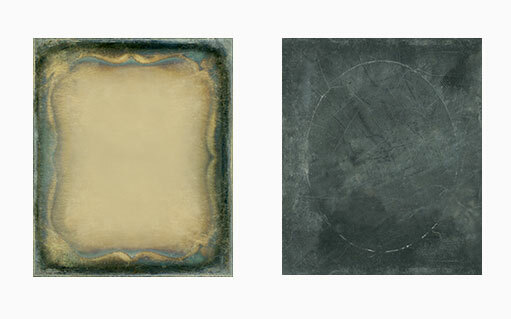 All textures are from the Tintype Edges pack. And while we’re here, we’d like to highlight the wonderful work with the Tintype Edges done by our very own web designer Jason, go here to see! Welcome to our much-requested second Antique Edges texture pack! This brand new pack has been years in the making, as we started buying original Antique Tintypes back in the noughties building up a large enough collection to justify creaming off only the most interesting to include in this unique Tintype Edge flypaper set. 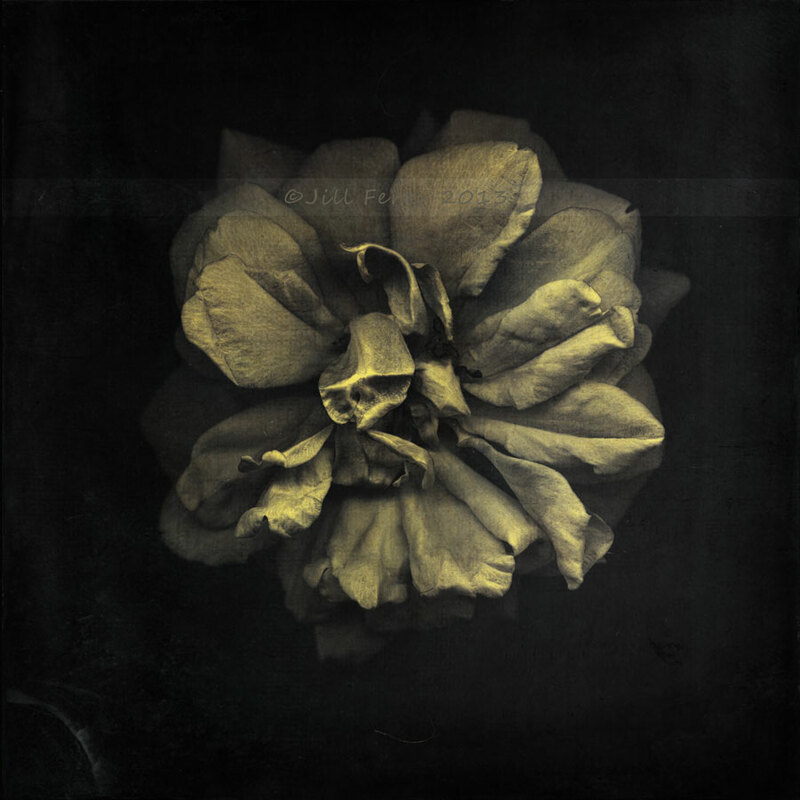 This Tintype Edge pack contains 37 unique textures, and this time there is a good mix of portrait, landscape and square formats. Exact sizes vary but all are 4500 px minimum on their shortest side and all are 300dpi. The two below are Daguerreotypes and wouldn’t fit into our usual mosaic but are also included. 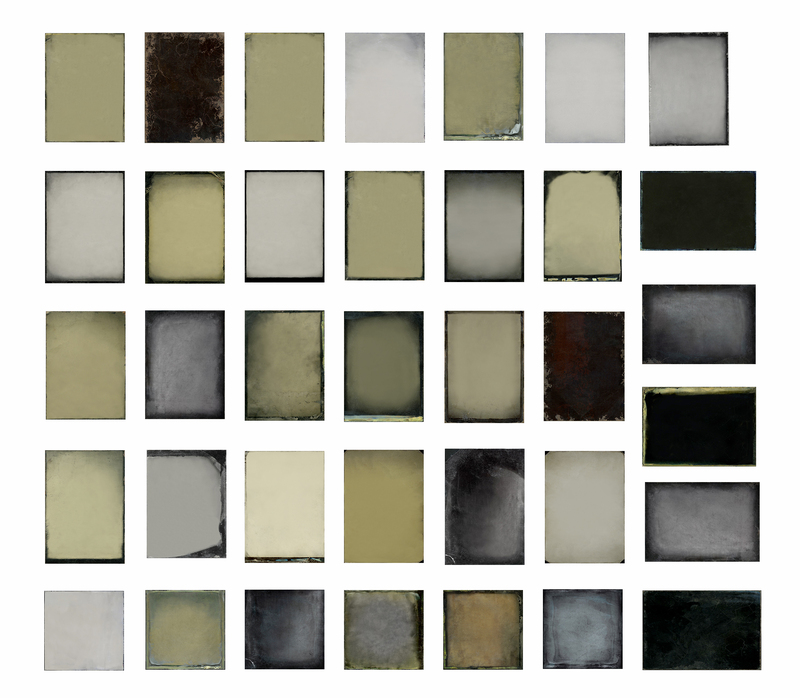 These tintypes can be used on their own as textures or as bases or even as a sandwich under our original Glass Edges along with all our textures and so we’re really looking forward to showing some interesting combinations with them over the coming weeks to inspire your creativity! 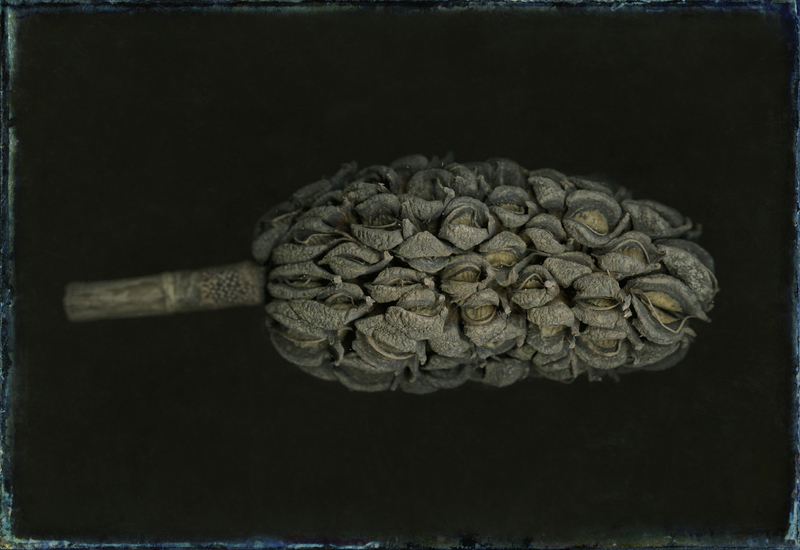 To whet your appetites, below we show one of our experimental images, a magnolia seed head that was simply scanned on an open scanner in Tiff and then superimposed on Tintype number 34 from this pack using Photoshop, however we’ll share full recipe info and big mouse-overs on these scanned ‘collection’ images in upcoming blogs. ‘The Walking Dead’ Zombie look ! Yesterday afternoon we went for a quick drive out to Otago Peninsula and got some much needed exercise walking up the hill to the Highcliff War memorial, it was a short but steep climb but the views from the top are wonderful and it was worth the walk. This is one of the shots I took from up there. 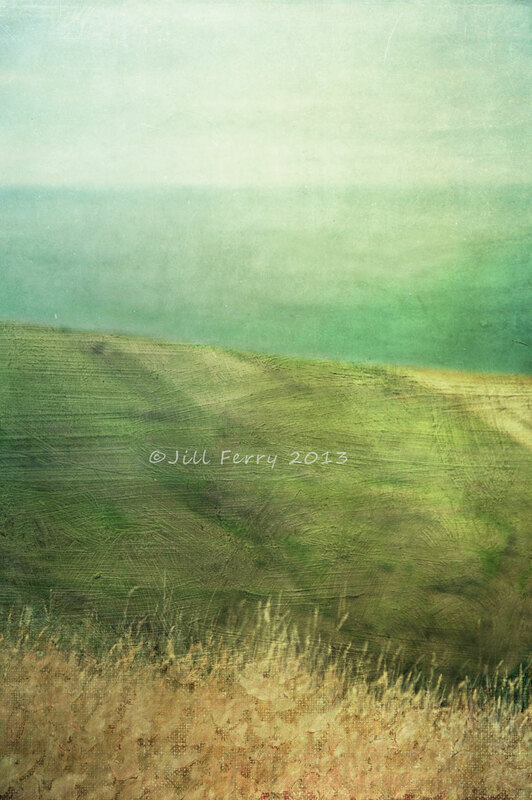 I opened it in Photoshop and tried out several textures to see what would work best with the image – I liked the look of Sisely on the grass, and Tempest Seas on the land so inspired by that, I decided to try and use a different texture on each separate layer. This didn’t go exactly as planned -I could probably have spent another week finding just the right texture for the sea and sky but patience isn’t one of my virtues :-). I ended up using more subtle textures on the upper portions rather than the strong ones I’d initially envisioned. Anyway, here’s the processing, it involved a lot of masking and the rough cloning out of a row of trees that I thought didn’t add to the composition. 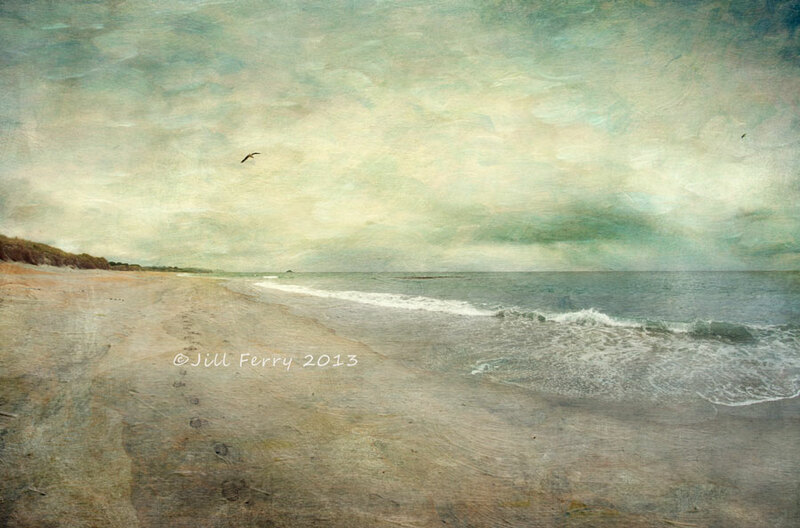 Vetiver @ Overaly 100% (this lovely soft green texture gave an overall softness to the image. I then used a very soft Nik Color Efex cross processing layer to tweak the tone slightly, I could probably have used curves but I love the ease of Nik! And it was done! I’m definitely going to try and do this again sometime. Sisley and Tempest Seas are from the Spring Painterly Pack, Matmos Lake is from the Summer Painterly Pack, Vetiver and Vieux Gris are from the Autumn Painterly Pack.